We can help you create a custom look for your vehicle. We offer custom wraps as well as one-off stripes, stripe packages. We can plot everything and do it all in-house. From complete color change to simple accents. Everyone knows that one of the benefits of vinyl is that it can help to protect your original factory paint, so that if you ever want to remove your vinyl coating, your resale value is pretty well intact. However, protecting your vinyl also matters because you want that look that you got to hold up over time. 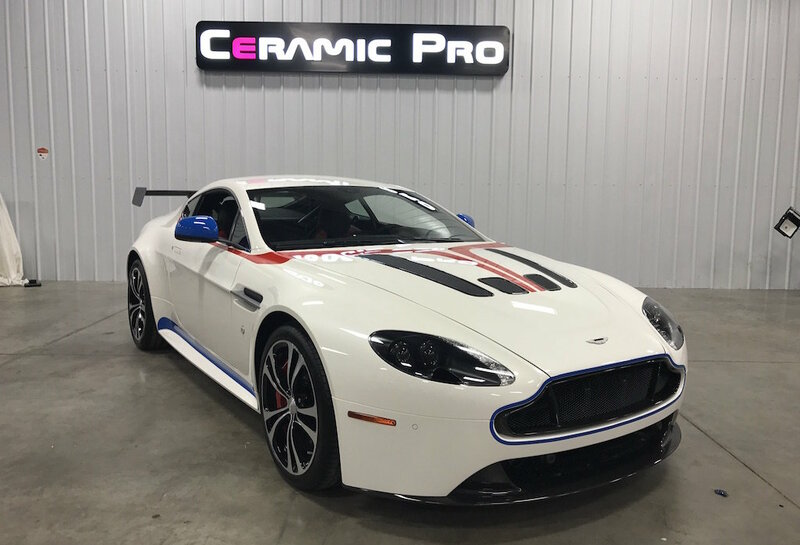 Vinyl does great with Ceramic Pro coatings because even though the colors are obviously exposed to sun, Ceramic Pro coatings help with the UVA and UVB. That means that, in addition to being double protected from scratches and so on, the vibrant color and finish of your vinyl will last longer. We primarily use both 3M and Avery for vinyl. 3M and the Avery both have long term warranties. Both 3M and Avery have a different kinds of warranty’s sometimes are determined by each panel on the vehicle, depending on where it’s located, there’s a different warranty. This is why Ceramic Pro is so beneficial to the application of vinyl and its long term appearance and durability.